When I read A Work in progress I was surprised by how much I was able to get out of it. I’m always skeptical with memoirs written by younger people. Especially someone younger than I am if only by one or two years. 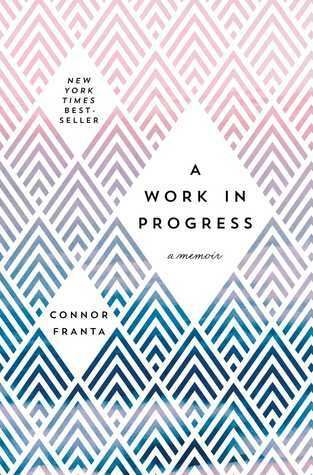 I was again impressed by Connor Franta with this second book. I like the way Connor tells a story. He has an open and honest feel to him. He states his opinions without them feeling like he’s trying to force you to agree with what he feels. He can look at moments of his life and in reflecting on them pull out a lesson that he gained or wish he knew at the time. He has a wiseness that is beyond his years. Plus there is the photography. The photos in this book were extra striking. Like I wish I could take photos as good as the ones Connor takes. In some books with photography. The photos are glanced at and you move right on to the writing. I really stopped to look at the photos here. Especially when they linked in really well to the prose or poetry Connor had with it. By the way, Connor’s poetry was excellent in this book.I would read an entire poetry book from him. I was so there for it. A lot of what Connor talks about in this book is really relatable for me too. I’ve talked about an experience that many queer people have in common in the past that Connor also addresses here. Having your first relationships, romantic or otherwise, in much later years than your straight peers. Possibly because you weren’t out or because you weren’t in an environment with anyone else to start those relationships with in your high school or college years. Connor talks about experiencing that here and I could definitely relate to the way he talked about it. He wasn’t out in high school. He came out in the last few years. It’s a different experience just because of where you are in your life. The emotions involved in those first relationships and the way you approach people you are interested in changes for people over time.Plus the way you experience break ups and heartbreaks. Connor experiences a major breakup while writing this book. Connor experiences a major breakup while writing this book. The emotional devastation he experiences is written about in such a grabbing way. He’s just honest about what he was feeling and you can tell he hoped writing something would help him. I think anyone who has experienced a breakup that really affected them can relate. The poetry and photos in that section shined even more. This is a book where I could not contain my emotions as I read. I let out a bit of a scream at one point because I was relating and empathizing too much with what was happening. Connor also talks about his experience with depression. He talks about his first time going to therapy. I love seeing people talking about these experiences and letting people know it is okay to do that. I think a lot of people don’t like the stigma associated with things and are afraid to talk about their problems. Some people are afraid to try therapy because of some of that stigma. I always appreciate seeing this in books. Loved seeing a real person talk about their experiences with it. This was another excellent book from Connor. Excited to see what he does next. Just started listening to his curated music playlists on Spotify. They are so good. Plus, I am now checking out his Instagram whenever I can because those photos are just too good. Wishing him the best in his next few years. I hope he is able to keep growing and learning from life. 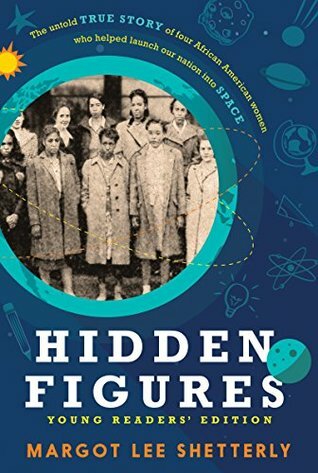 Hidden Figures was a really fantastic read. It was crazy to me when I started the book because I knew I would be reading about some amazing black women that I never had the opportunity to learn about before. I went to several schools where the majority of my classes were black students and this wasn’t something we learned about in the curriculum of our history classes. I feel like that is truly unfortunate. I saw so many people saying the same thing when the movie first started making a buzz. This book is really just the facts of what happened to these women. We get the background on these amazing women. 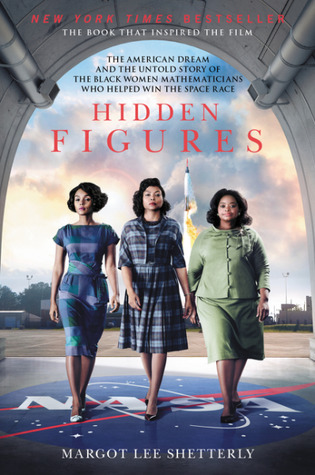 We learn about the beginnings of NASA and America’s journey to being able to put a man on the moon while following some amazing black women who helped make it happen. We learn about their passion for math and get an idea of where that passion grew for some of them. We also see how these bright women still struggled to get as far as they did because of the color of their skin. If you are expecting more of a plot driven thing you might be disappointed as I’ve seen some people were. I’d say go see the movie for more of that even though I haven’t seen it yet myself. I definitely get the impression from what friends who have read the book and seen the movie. This book could act as great background information for the characters you see in the film. It feels academic in nature. Almost like a textbook which I kind of liked honestly. It didn’t take away from it for me at all. Maybe it’s because I didn’t go into it expecting something else. I wanted to learn about these women that I had not before. I didn’t see the movie so I’m not aware of how it’s different in the film version. I went in with just different expectations and those expectations were met. I learned so much from this book. I feel that it holds it’s own as a text personally. Margot Lee Shetterly really was able to capture the lives of these women and show what they were passionate about in a way that really captivated me just with the facts. Just by telling us what they went through. Explaining how it felt to be put in the situations they were. The arcs of Dorothy Vaughan, Mary Jackson, and Katherine Johnson in this book really make me want to see the film as soon as I can. This first quote had me shook, to be honest with you. I was sitting there thinking about my life and thinking about what the equivalent to slaying Jabba the hut would be for me. It didn’t take long to figure that out and it put some things in perspective for me. I fell off from writing last month but jumped right back in after reading this book. It was something I really needed that has been difficult with life recently. This was a big moment for me in the book even if there were many other moments as well. I’m in such a transitional period in my life right now. I think that’s the 20’s for a lot of people. I’m just trying to figure out where I want to be and who I want to be. It just made me think a lot. 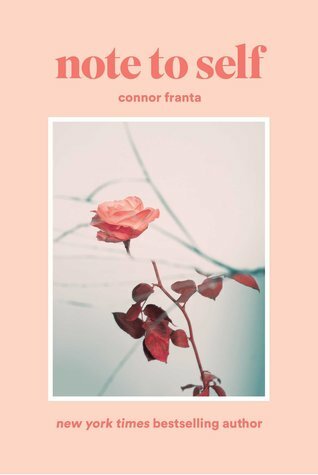 In this intimate memoir of life beyond the camera, Connor Franta shares the lessons he has learned on his journey from small-town boy to Internet sensation so far. Here, Connor offers a look at his Midwestern upbringing as one of four children in the home and one of five in the classroom; his struggles with identity, body image, and sexuality in his teen years; and his decision to finally pursue his creative and artistic passions in his early twenties, setting up his thrilling career as a YouTube personality, philanthropist, entrepreneur, and tastemaker. Exploring his past with insight and humor, his present with humility, and his future with hope, Connor reveals his private struggles while providing heartfelt words of wisdom for young adults. His words will resonate with anyone coming of age in the digital era, but at the core is a timeless message for people of all ages: don t be afraid to be yourself and to go after what you truly want. This was a pretty good memoir. I honestly was skeptical on how much I’d like it going in and part of that was just because Connor is writing this so young.You look for life lessons in memoirs. Not always explicitly pointed out lessons. I find that you usually learn something from following someone else’s experience. 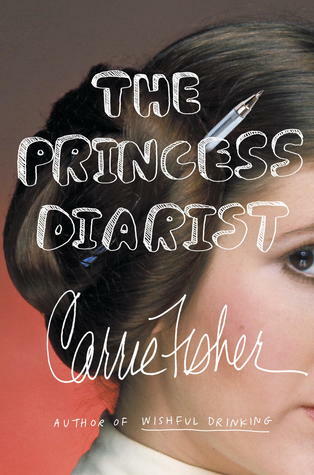 I definitely see the value this novel could have for younger audiences and older audiences with some of the messages presented in the text. One of the big messages you could get from reading this memoir was about not letting anyone stifle your creativity. When people want to pursue a creative endeavor like content creation on Youtube, writing, photography, painting, or any other creative outlet people will often deter them from pursuing that.Say things like it’s just a hobby. Make you think it’s something you shouldn’t put your focus in. I feel like people focus on what is successful too much sometimes. They want a guarantee but if you are a person who loves doing something then don’t let negative thoughts stop you. Not ones from others or yourself. Reach for your goals. Realized that I led into another lesson of the book which is all about not waiting for your happiness to come around. Seek out things that will make you happy. Do what you need to in order to find your happiness in your present because you don’t know how long you have. Connor told a really great story about when he learned this lesson. It was something that really hit home for me right now in a very transitional period of my life where I don’t really know what I’m doing. I appreciated it a lot. The photography throughout this book was beautiful. I usually prefer to listen to audiobooks of memoirs but I feel like missing out on the beautiful photos in this book would be a travesty. Not only that but the creative layout of the book. The ending section that focuses in on his Youtube career in the copy I read has a cool layout. Black pages with white writing and an orange Youtube play symbol before the headers. It was really cool. I also loved the shorter sections thrown in that had an image behind the wording. This was a book by a really creative person and you could tell that going through it. One of my favorite elements besides the messages in the memoir. I definitely enjoyed this read. I’d recommend it to anyone that is even vaguely a Connor fan.I haven’t watched many of his videos besides watching his Coming Out video a couple times. Still, I decided to pick this up and I’m glad I did.